I consider myself to be very blessed to be a part of the Claritin Mom's Crew. Recently, they sent us a box with goodies to share and some amazing tips for allergy season. Keep reading to get to the tips. First, I wanted to remind everyone about the: Vote for Play with Children’s Claritin & KaBOOM! 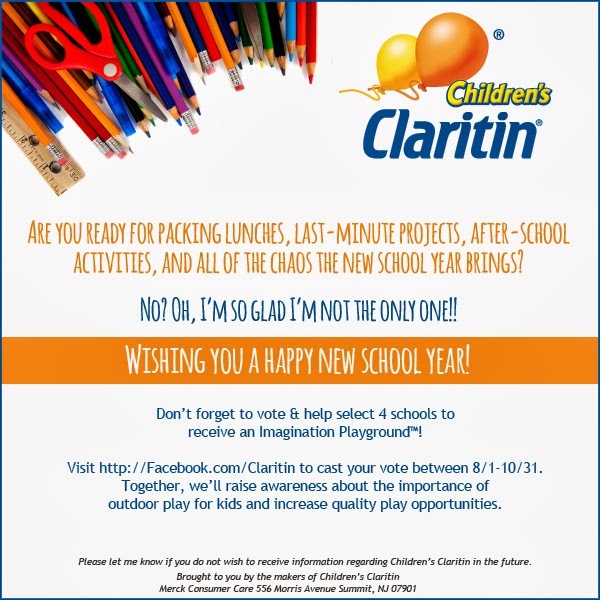 Please continue to vote for a school to receive an Imagination Playground. Voting continues through October 31. 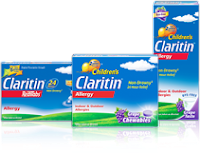 Here's a peek at the little gifts I got from Claritin. Pen, magnetic clip, grocery list and post it notes. Keep reading to find out how to win one for yourself. Keep windows closed when pollen count is high.